It’s a single word that can produce great results and help employers avoid or minimize a number of problems, including erosion of employee morale as well as litigation that can be costly in terms of time and money. It’s easy. At Shuttleworth PLLC, we not only want to help defend you when you get into a lawsuit. We want to work with you to help lower the chances of such lawsuits arising in the first place. We are able to provide updates to management on various areas of the law that impact employers, and when changes in the law occur, we can help guide you through the changes, and what they mean to you. How do you conduct a job interview that is effective and legal? Is there a better way to do employee evaluations? What do you do when the EEOC contacts you with a charge of discrimination? These are all areas where state and federal employment laws come into play, and areas where employers can run into real problems if they are not wary. Under the law, an employer might be responsible for any harassment conducted by management employees if they do not take reasonable steps to prevent such harassment. And, while some management level harassment can automatically expose a company to liability, there are cases where training can help your company defend against sexual harassment lawsuits. In any case, such training can help management employees properly react to reports of harassment and help prevent it from happening in the first place. In addition to management employees, we also offer separate company-wide training to educate all your employees on how to avoid, prevent, and deal with sexual harassment. Sometimes the best way to avoid litigation is to simply treat your employees like people. It’s a seemingly simple concept, but it is one that can too easily get lost in the day-to-day shuffle of running a business. 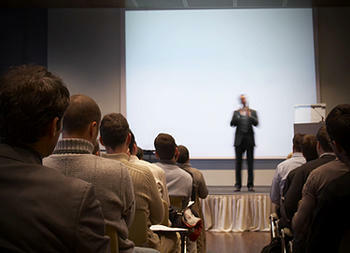 Our employee relations seminars are tailored to your company to help your people. Our sessions are interactive, involve multimedia presentations, and hands on involvement by your management team. We can even do communications training utilizing improvisational skills that can make your session informative, fun, and beneficial. We can customize our training to last from two hours to two days, and can include as many or as few management employees as you have. There are no limitations on how the program can be designed, or on how it can benefit your company and the morale of your employees and management team. Is there an issue facing your company that you need addressed? We can put together a program on any facet of employment law. We can also work with you to evaluate issues your business may be facing to help you fix them before they bloom into serious trouble. The first step, however, is yours.